Article 2 of the European Convention may seem, at a first glance, somewhat redundant, as it protects something that we all take for granted: we surely don’t need human rights law to state an obvious principle such as the right to life, right? But the fact is – we really do, and Article 2 is actually one of the most fundamental rights enshrined in the European Convention on Human Rights and in UK law by the Human Rights Act. In fact, it is the most basic right of all, clearly stating – as in all the major human rights conventions – that we all have a right to life and thus cannot be unjustly killed. In plain English, this means that the state must actively protect its citizens by enforcing criminal laws and taking concrete action on threats to our lives – see the key cases of Osman and Rabone which are in the infographic. It also means that states have a positive duty to properly and thoroughly investigate each and every death which happens when people are under their custody, such as when in the hands of the police. 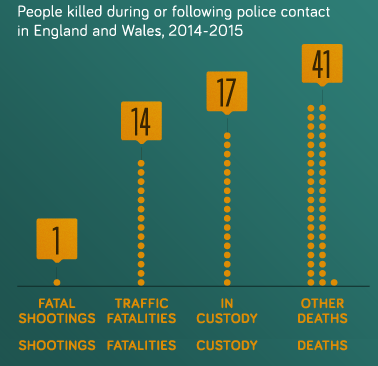 This is especially important considering that sometimes people are killed during or following police contact – as we show in our infographic, there were more than 70 deaths in England and Wales between 2014 and 2015. There are also many countries in the world (as many as 93 out of the total 196) which still apply the death penalty. Over 4000 people were put to death only in the last year. There are many ways in which one’s right to life can be violated, which is why Article 2 plays such an important role in ensuring that each of us can fully enjoy our most basic right. You can see all of your rights beautifully presented here or just Article 2 (Right to Life) here.